Look at the month of March 2015 Mayo Clinic Blood Donor Center calendar, and you’ll see the smiling face of 11-year-old Melanie Gates of Rochester, Minnesota. For good reason. In March 2011, Melanie’s life was saved by an “outstanding care team and 42 blood transfusions during a six-day period” while she was in Mayo’s Pediatric Intensive Care Unit, according to her mom Amber Gates. It wasn’t Melanie’s first time there, but for her family, it was one of the most frightening. Even before that, Melanie was no stranger to blood transfusions. In April 2003, when she came into the world eight weeks ahead of schedule due to in-utero pulmonary complications, she received her first four units of blood immediately after birth. 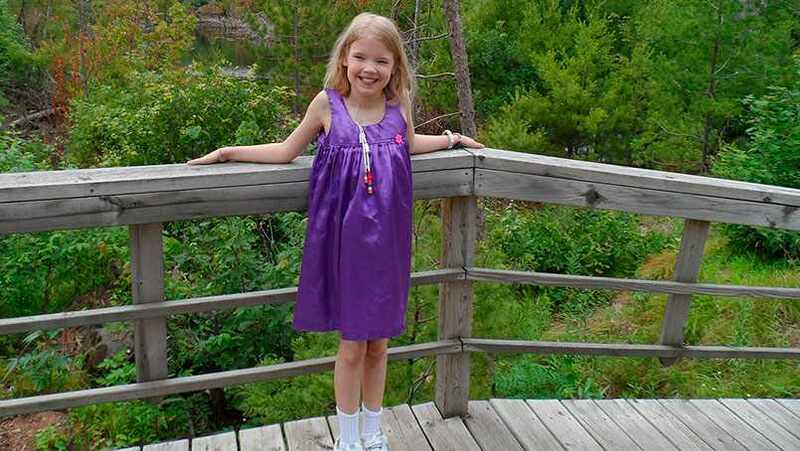 And at age 5, Melanie was diagnosed with mitochondrial disorder. Because of this disease, Melanie is challenged by bleeding tendencies, as well as extremely low blood counts. By the time she was 6, she was dependent on red blood cell transfusions to maintain sufficient hemoglobin levels. Melanie’s family is so excited that she’s being featured on the calendar they’ve issued a challenge (via Melanie’s CaringBridge page and other social media) asking family and friends to donate blood in honor of Melanie during March. “It’s because of the selfless generosity of blood donors, our precious daughter is with us today,” Amber says. As for Melanie, she has found her own unique way to give back. Each time she visits Mayo Clinic, she tries to make people smile. In fact, she makes a game out of it and counts how many people she can get smiling. And she usually carries a supply of rubber band bracelets to give to other patients along the way. “She has a heart for others who are sick,” Amber says. If you’d like to donate blood in honor of Melanie (or anyone special to you), just let them know at the Blood Donor Center, and they will give you “A Gift From Within” card to complete that will notify the honoree. Then give a little infusion to the In the Loop blog by sharing your comments and by sharing this story with others.